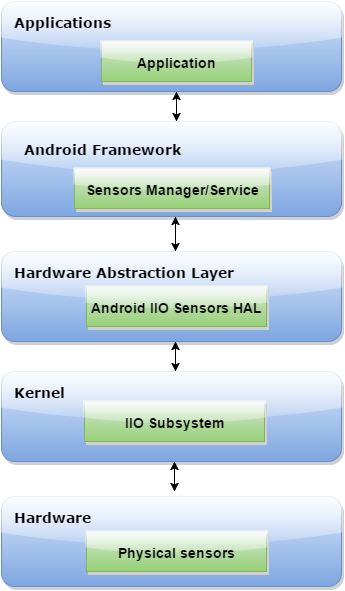 The IIO Sensors HAL implements the Android Sensor API on top of the Linux Industrial I/O interface. It dynamically discovers available IIO sensors and exposes them to the Android sensors framework. This HAL is used to drive sensors on IRDA (Intel Reference Devices for Android) for all Baytrail and SoFIA tablets. It is designed to drive a complete collection of sensors, the types and properties of which are dynamically discovered. It's meant to be small, simple, and have minimal CPU and memory overhead, and to allow quick sensor enabling on new hardware platforms. 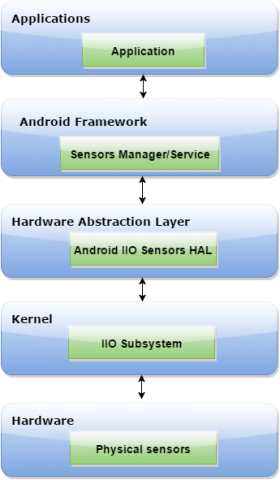 Releasing the Android IIO Sensors HAL to the open source world is an important milestone for us. Our objective is to help develop the IIO ecosystem to better support sensors on Android. The Android OS Sensors team.